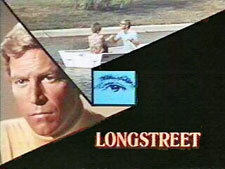 Longstreet: Mystery and Suspense on Television. James Franciscus stars as blind insurance investigator Mike Longstreet in this ABC crime drama set in New Orleans. The series is loosely based on PI Duncan Maclain, a character created by mystery novelist Baynard Kendrick and featured in 12 books published between 1937 and 1961.